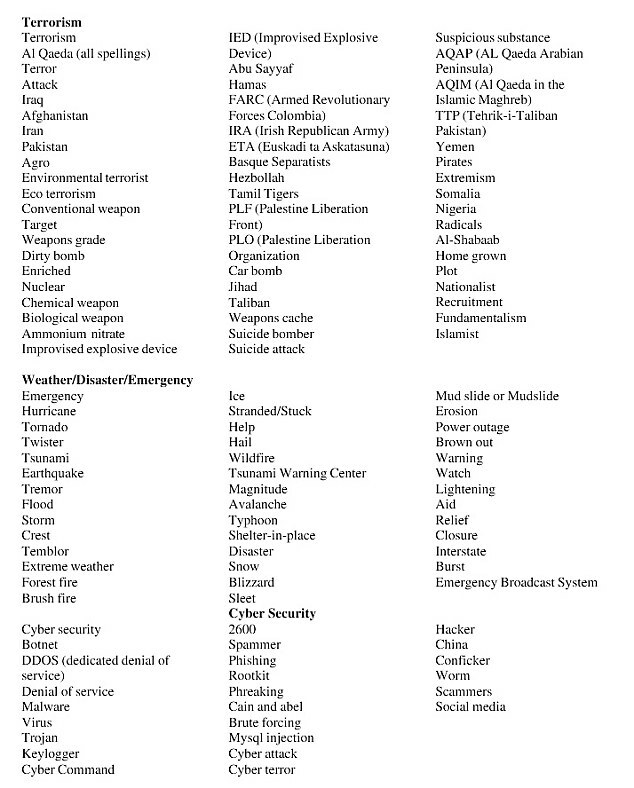 The intriguing the list includes obvious choices such as ‘attack’, ‘Al Qaeda’, ‘terrorism’ and ‘dirty bomb’ alongside dozens of seemingly innocent words like ‘pork’, ‘cloud’, ‘team’ and ‘Mexico’. 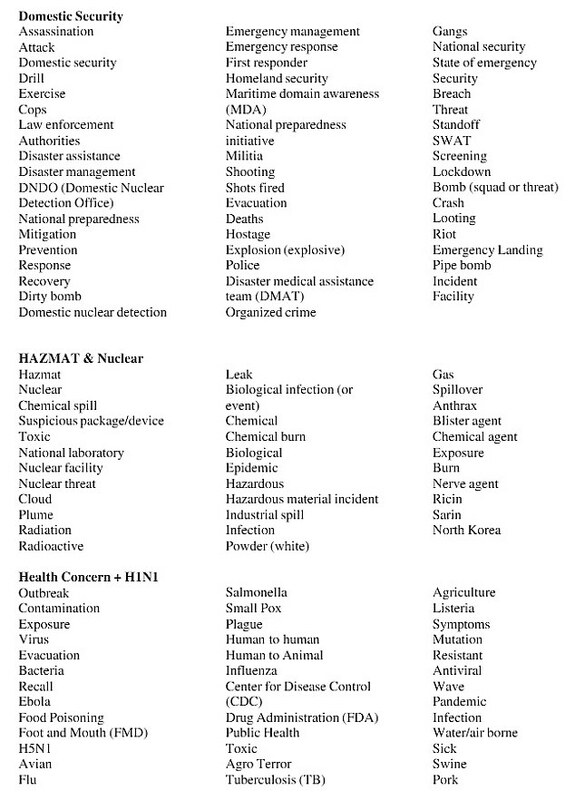 The words are included in the department’s 2011 ‘Analyst’s Desktop Binder‘ used by workers at their National Operations Center which instructs workers to identify ‘media reports that reflect adversely on DHS and response activities’. Department chiefs were forced to release the manual following a House hearing over documents obtained through a Freedom of Information Act lawsuit which revealed how analysts monitor social networks and media organisations for comments that ‘reflect adversely’ on the government. The list has been posted online by the Electronic Privacy Information Center – a privacy watchdog group who filed a request under the Freedom of Information Act before suing to obtain the release of the documents. 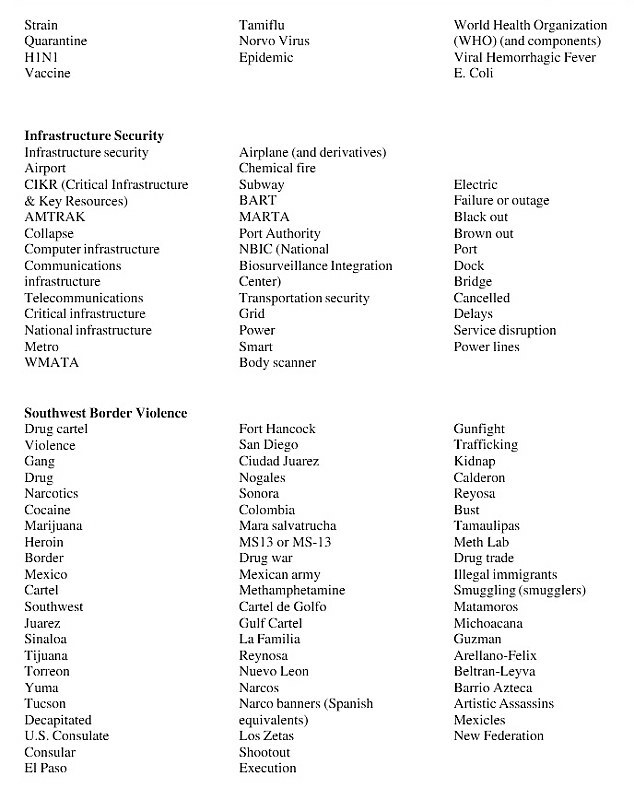 In a letter to the House Homeland Security Subcommittee on Counter-terrorism and Intelligence, the centre described the choice of words as ‘broad, vague and ambiguous’. 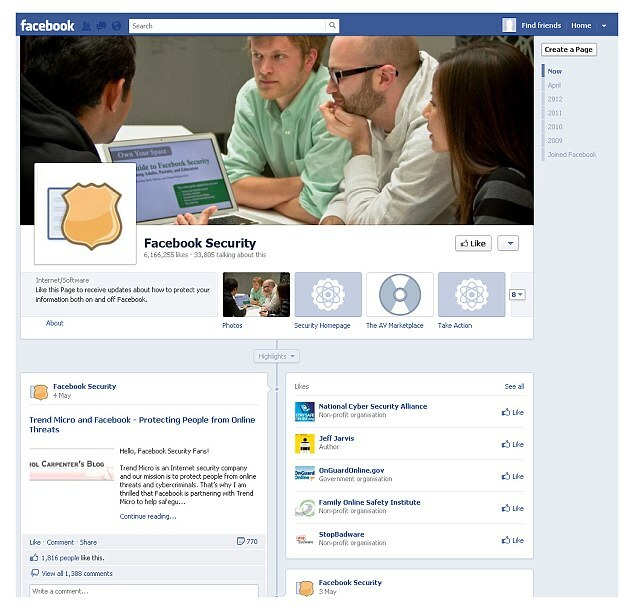 A senior Homeland Security official told the Huffington Post that the manual ‘is a starting point, not the endgame’ in maintaining situational awareness of natural and man-made threats and denied that the government was monitoring signs of dissent.